Juan is the leader of the Green Eco Warriors whose special powers are inventing and communicating. He uses his special communication powers of speech and listening to effectively lead his fellow warriors on missions. Juan’s superb communication skills help him craft and convey Green Eco Warrior messages to others. He also has the ability to invent and create tools to help his fellow warriors in the battle against Big Corp. Juan has great strength and influence, however, his stubbornness and arrogance stifle his mission at times. This publication aligns with Next Generation Science Standards (4-ESS3-1, 4-ESS3-2) and CMT Science Standards (4.2 B.11) for grade 4. Our comprehensive program fosters leadership skills, scientific inquiry, scholastic success, and environmental stewardship among young people. 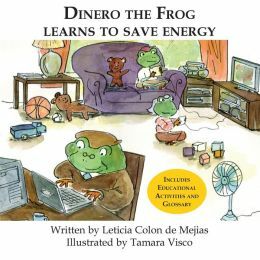 We engage students and educators in an interactive program that helps them become energy conservation leaders in their homes, schools, and communities. 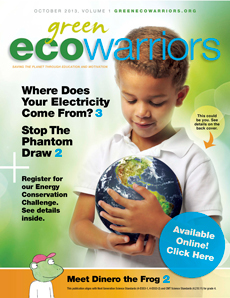 Green Eco Warrior books and the Green Eco Warriors National Youth Education publication, aligns with Next Generation Science Standards and CMT Science Standards. 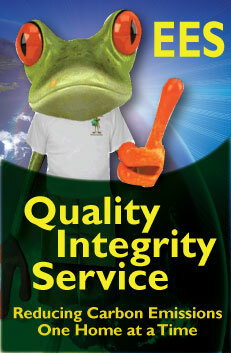 We provide tools to educate youth and families about conservation and sustainability. Your Membership & Donations Make a Difference!